"Women are key to economic development and progress, and are a vital force for positive social change”, said Thomas Buberl. At AXA, we have already taken important actions to meet these principles. For instance, we have implemented global parental leave for women and men across all our entities. We have decided to reach gender parity in our top 150 global executives by 2023 at the latest. We have created a foundation for an open culture that attracts the best talent and helps us foster innovation as we bring together diverse points of view and backgrounds. As the CEO of AXA, I’m extremely proud to sponsor the Women in Insurance initiative, which consists in empowering women to thrive, live a better and healthier life, launch their own business, with peace of mind. Adopting the Women’s Empowerment Principles is a new step in our global strategy towards gender equality in the workplace, marketplace and community. 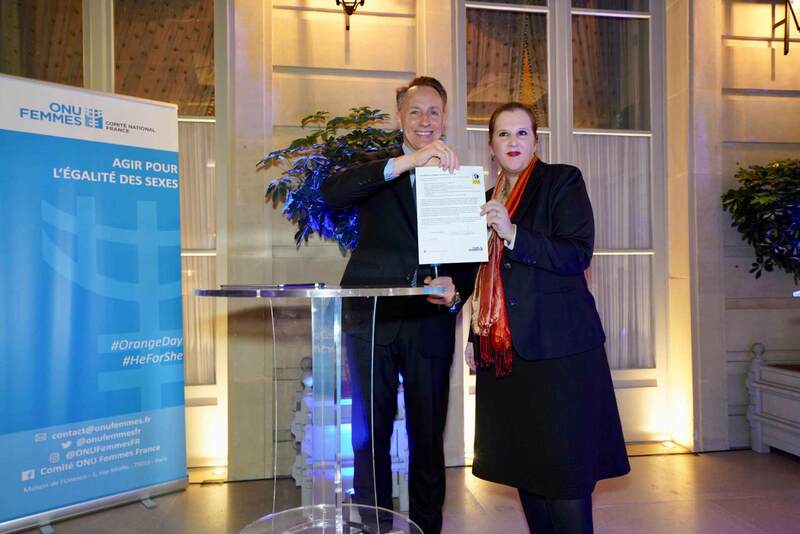 On December 10, 2018, Thomas Buberl, AXA Group CEO, signed the United Nations Women’s Empowerment Principles and took a personal commitment to take action against gender bias, discrimination and violence by joining HeForShe, the UN global solidarity movement for gender equality.